Are you guilty of making these budgeting mistakes? Most Americans don’t live on a budget – which may explain why so many people feel like they’re living from paycheck to paycheck. But even those who do budget often feel like they can’t stick to their spending plan of action. The truth is that if you’ve tried and failed at budgeting it could be for reasons that you’ve not yet considered. Here are six reasons why your budget keeps failing. In many cases, “reasonable” is seen as something that has an “affordable” monthly costs or something that can is supposedly a “one-time” or “occasional” expense. If you spend because you’ve convinced yourself “I deserve it,” you may totally understand how senseless it is to run out and buy a brand new Ferrari. But don’t dare suggest that you can’t drop money on a lavish vacation every summer, or go out to dinner with friends at, say, $100 or $200 a pop twice a month. When you routinely spend cash on products, services or even experiences that you feel that you “deserve,” it can often be a quick way to ruin your budget. Just because you grew up somewhere does not mean you have to live there as an adult. Perhaps you would do better financially if you moved to a part of the country where rent, houses, food and other expenses are way cheaper than where you are currently living. The other budget-buster that could be related to the above scenario is that you might live somewhere where there simply are fewer or even no opportunities to earn a buck and get ahead economically. Under these circumstances, maybe it is time to cut the apron strings and move. You’ll be doing your budget and yourself a big favor. When is the last time you shopped around for auto insurance? Is your umbrella policy competitive? Are you paying too much for your cell phone service? We no longer live in a “set it and forget it: world. You have to stay on top of your finances. That means you have to take an active role in updating, tweaking and revising your budget and the expenses you pay for each month. 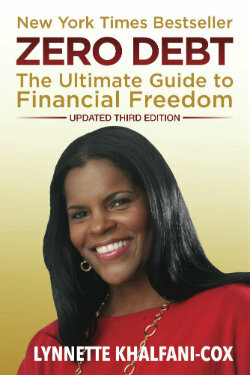 A failure to have an up-to-date budget could be one reason that your budget is now out of whack. Your 20s – Why not! Life is short. YOLO! Your 30s – Life is too short. Why not! Your 40s – Life’s short. You only live once! Why not! By the time you hit your 50s, life seems to start passing you by even faster and life feels even shorter than ever. In fact, as you move into your 60s, time continues to feel like its operating at warp speed. But what have you been doing throughout all these years? 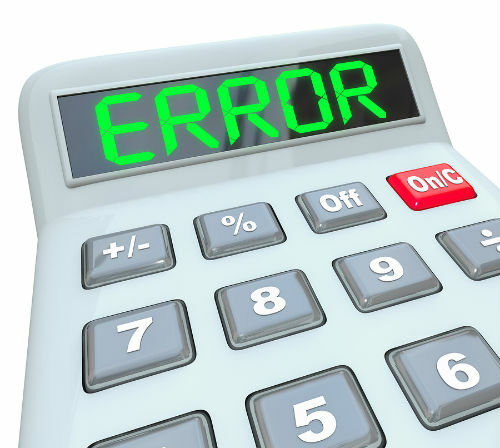 Have you been making financial mistakes and repeating those same errors over and over? If you’ve been blaming others or using the same excuses for all of your money fiascos and overspending decade after decade, it’s time to grow up. It’s financially immature and shortsighted to continue negative spending patterns and budgeting blunders that keep you in the hole year after year. Are you spending so much you can’t keep track of it all? Some people spend cash and don’t keep track; others use credit cards and fail to tally their spending. Either way, there’s an easy fix. Use a free service like Mint.com or another online tool to help you keep track of your spending, bills and budgeting. You may not feel like you’re “keeping up with the Joneses.” However, if you’re honest about it, and you reflect on your circle of friends and colleagues, you’ll see that you surround yourself with people that love to spend. If doing what everyone else is doing causes you to blow your budget, you don’t have to necessarily dump your friends. What you should do, however, is be honest with yourself – and sometimes with them too. Don’t let your pride get in the way of you meeting your financial goals. Learn to get comfortable telling yourself, and other people when necessary, that because you’re trying to reach certain goals – like saving more money, reducing debt, planning for retirement, starting a business or whatever – certain extra expenses aren’t a priority for you, and you choose not to spend your money on those things. True friends will understand. And being honest won’t make you look broke or like a tightwad. On the contrary, you’ll look like the smart one in the crowd; the man or woman who doesn’t let other people’s spending patterns, lifestyle or personal choices dictate your own fiscal habits. Your friends may even start looking up to you as a role model. Ultimately, that’s how you’ll get control over your budget – by practicing good monetary habits. Once you recognize when your own personal or financial misdeeds, like those mentioned above, are derailing your financial success, you can fix those problems, better budget and get on the road to financial freedom.